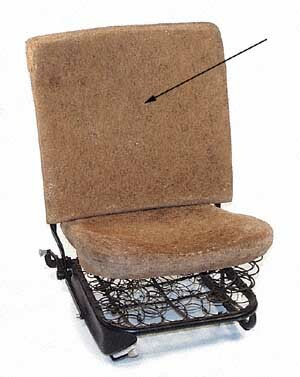 Description: HAIR SEAT PAD, front seat backrest section, 1965-1967 (1967 Beetles thru chassis # 117425908) U.S. model Beetles. *Please note: Will not fit 1967 Beetles with backrest adjustment knob on lateral side of backrest. Please verify your car. Made by Wolfsburg West.